As a child, spinning on an office chair at my dad’s desk, I discovered the power of digital technology. Playing “Myst” and other computer games transported me to another world: an awe-inspiring journey with nooks and crannies, ready to be explored. As a visual learner, I also spent a lot of my childhood exploring museums and making art. Coupled with my interest in history and the humanities, I found the decision to attend a liberal arts college to be an easy one. When I first arrived at Mount Holyoke, I was lucky to be assigned Anthony Lee, Idella Plimpton Kendall Professor of Art History, as my advisor. I told him about my interests and that I was unsure of what to pursue in college. He encouraged me to reach out to a few staff members on campus, to apply for a campus job, to ask questions, and to register for a variety of courses. This relationship proved to be the first of many in a long line of caring and supportive mentors. During my sophomore year, I became an intern at the Mount Holyoke College Art Museum. I also started working for Digital Assets and Preservation Services in the library. In both of my positions, I met kind and dedicated people. Most importantly, I discovered that I liked using digital technology in humanities-based institutions such as museums and libraries. My study abroad experience at the University of Edinburgh during the spring of 2016 was a turning point. In my Archaeology in Action course, each class was taught by a different professor who focused on various technologies used in the field. In a lecture about digitization and visualization — which involves digitally documenting objects and sites and making digital recreations to better imagine the discovery — the professor showed us examples of objects that had been scanned and recreated as 3-D models. In seeing these models, which anyone across the world could explore from a phone, something clicked. I saw that beyond documenting archaeological finds, digital technology can be used for education and outreach. My interest in material culture and the digital world could be combined into one. Within days of this lecture, I got in touch with my advisor and Bettina Bergmann, Helene Phillips Herzig ’49 Professor of Art. I was excited to get their input on an independent study to explore — and teach myself — the technology behind digitization and visualization. 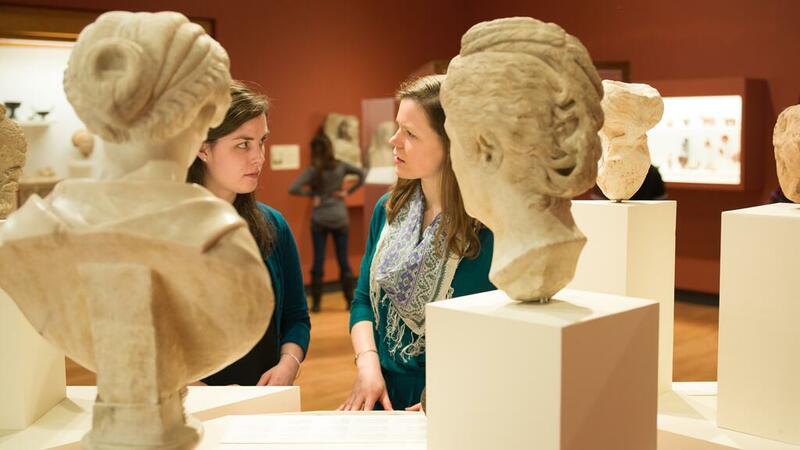 During my senior year, I sought the opportunity to work with Laura Shea ’06, the digital collections coordinator and museum photographer at Mount Holyoke’s art museum. In her studio, I taught myself to make 3-D models using a technique called photogrammetry. I chose my subjects from the College Art Museum’s extensive storage area. I bought the equipment and software I needed for my project with funds I secured from being awarded a Five Colleges Digital Humanities Undergraduate Fellowship. It may sound complicated, but photogrammetry is a relatively straightforward technology. First, you take a series of photographs around an object, by either walking around it in a circle or placing it on a turntable. To capture all angles, you position the camera straight on as well as slightly above, slightly below, and beneath the object. Next, you import the photos into a photogrammetry program. I used one called Agisoft Photoscan. It can take a lot of trial and error, but after a couple of hours and some tweaking of settings, your model is ready! As I argued in my independent study, New Ways of Seeing, the digitization of objects facilitates research and education. 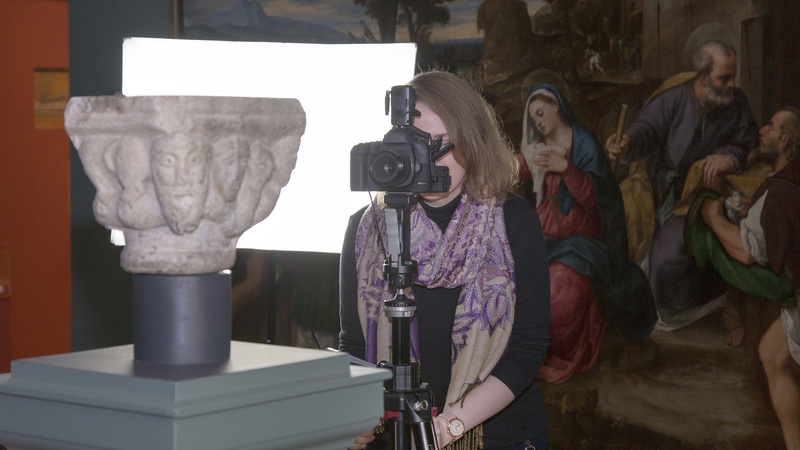 It allows scholars to explore one-to-one replicas — much like plaster casts of great works, which have been made for centuries — online and from around the world. 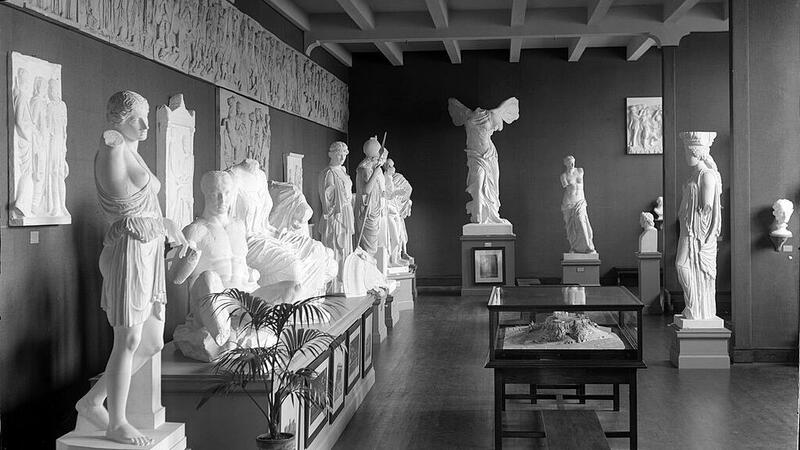 Plaster cast gallery in Dwight Hall, ca. 1920s. Photo by Asa Kinney, courtesy of Digital Exhibits of the MHC Archives and Special Collections. Digital technology can enhance the physical museum experience and open new doors for museums in terms of accessibility and conservation. Visitors can gain a greater understanding of — and ability to interact with — a museum’s entire collection. At many museums around the world, due to both space and funding constraints, only 4 to 5 percent of a collection is on public display at any given time. The process itself is accessible: If a determined undergraduate student is able to create such models, institutions big and small could do the same. I created a website that includes my research, models and opinions on the subject. In June 2017, I will move to Atlanta, Georgia, for six months to intern at Heritage Werks, a private company that provides professional digitization, archival and database services to groups and institutions. Beyond that, my next steps might involve pitching my skills in photogrammetry to potential employers or returning to Scotland to pursue a graduate degree in my field. Photograph at top, of Emily Lankiewicz ’17 at work, is by Laura Shea ’06. Emily Lankiewicz ’17 hails from Needham, Massachusetts. 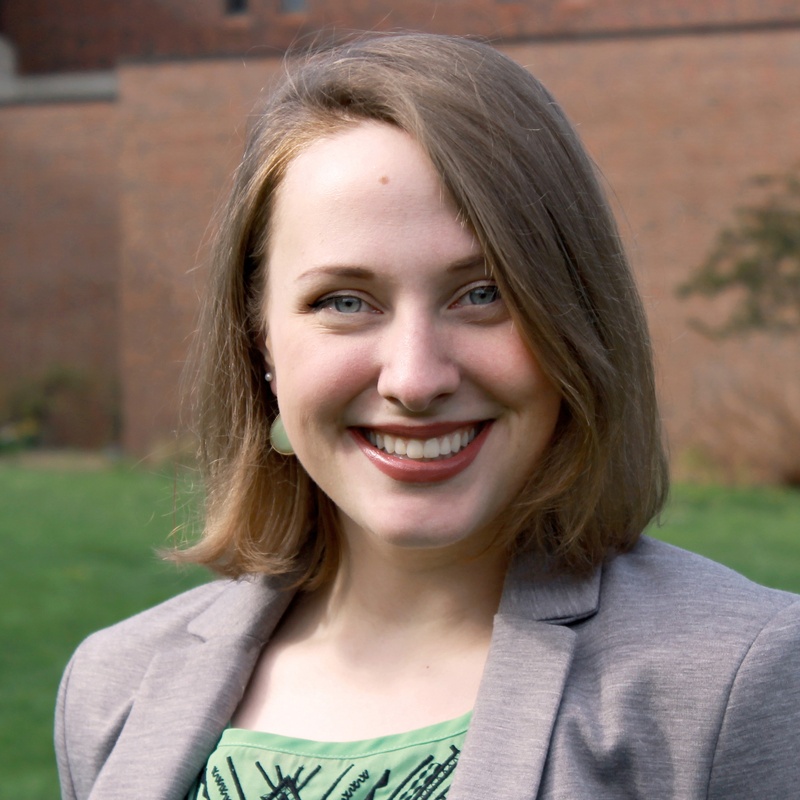 As an art history major with a special minor in graphic design and digital media, Lankiewicz was a student liaison for the art history department and co-founder of the campus org Art Society. She is drawn to the digital humanities and is interested in bridging the gap between art historical study and technology.